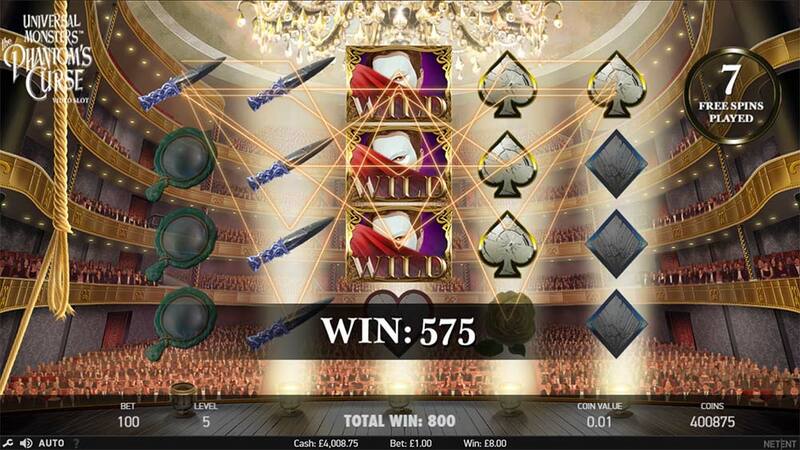 The Phantom’s Curse Slot From NetEnt, Was It Worth the Wait? Energy Casino has just added the new NetEnt slot Universal Monsters™ The Phantom’s Curse to their casino, this a slot that was due to be released in 2017 but looks to have run into some licensing issues with the release of The Phantom of the Opera slot from Microgaming. 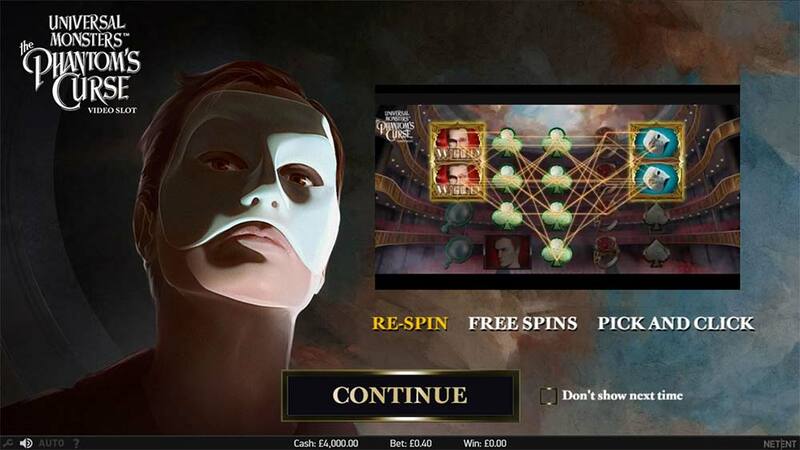 With the now lengthier title, Phantom’s Curse is a slot that is based on the tale of the Phantom of the Opera and is presented as a 5×4 reel slot and 40 pay lines that bay in both directions, packed with a variety of base game and bonus features that include stacked wilds, multipliers and free spins bonus round. 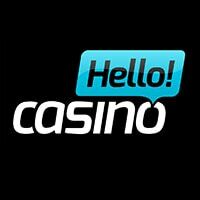 The reels on this slot come very heavily stacked with a variety of low and high paying symbols with a variety of wild symbols along with special Masked Phantom, Stacked Phantom and Stacked Christine symbols that trigger the various bonuses and free spins. During base gameplay, there is 1 mini-feature called the Masked Phantom Re-Spin that occurs when stacked Phantom and Mask symbols land on reels 1 and 5, any additional matching symbols are also then held on the reel and turned into wilds for 1 re-spin of the reels. Whilst many times this mini-feature simply results in a non-winning spin, if any additional symbols landed on the middle reels the respins can result in some very large wins. On top of this mini-feature, there are also Free Spins and a Pick and Click bonus feature to trigger in the base game, check out the gameplay video below to see all of these features in action. There are 3 main bonus features in The Phantom’s Curse, 1 base game mini-feature and 2 main bonus rounds. This feature occurs in the base game when the Stacked Phantom symbol lands on reel 1 and the Stacked Mask symbol lands on reel 5, any other matching symbols that are visible on the other reels are then held in place and the reels re-spin once. This bonus round is triggered by landing the Stacked Phantom symbol on reel 1 and the Stacked Christine symbol lands on reel 5, this then triggers the Pick and Click bonus round. 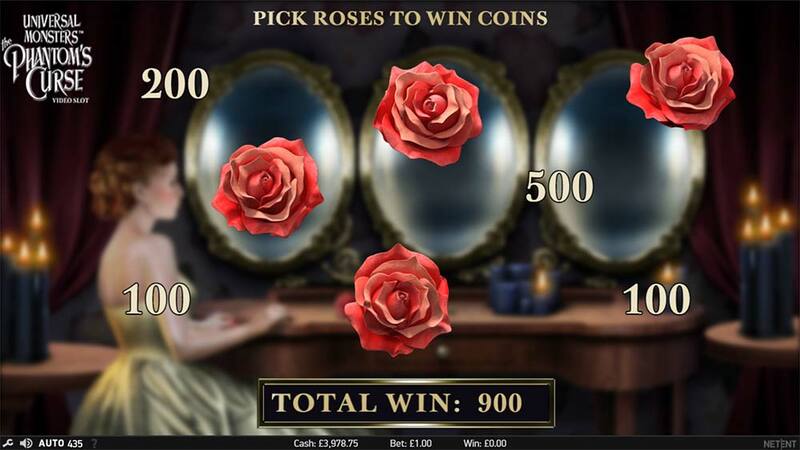 The Pick and Click is a 2 stage picking round, in the first stage you select roses to reveal coin prizes until an X is revealed. During stage 2 you simply select 1 of 3 mirrors to reveal a multiplier (1x to 3x) which is then applied to the coin win from stage 1. 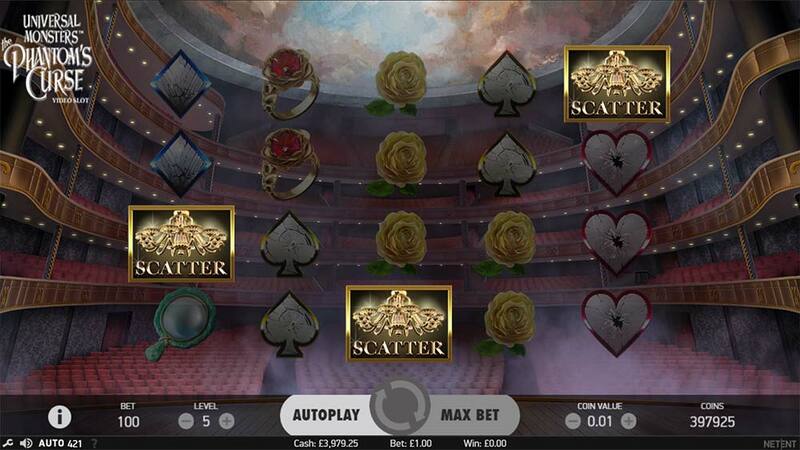 The main free spins round is triggered by landing 3 of the Chandelier Scatter symbols on reels 1, 3, and 5. The free spins round starts with a chandelier with 5 ropes connected to it, landing the Masked Phantom (Wild) symbol on a reel will cut one of these ropes which then becomes highlighted. 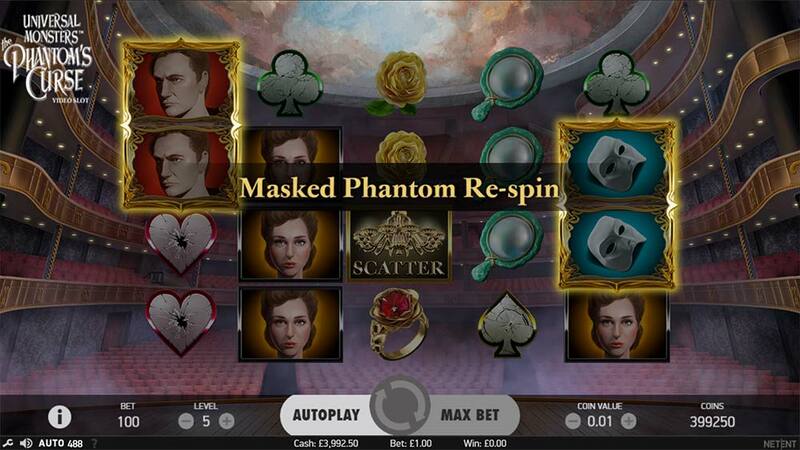 The free spins round continues until all 5 ropes have been cut, the progress into the bonus round can be seen with highlighted reels where the Phantom has already landed. The Phantom’s Curse has the usual polish and graphical finesse of any NetEnt slot, but we didn’t find anything too groundbreaking from the gameplay which seems very similar to the NetEnt Dracula slot. 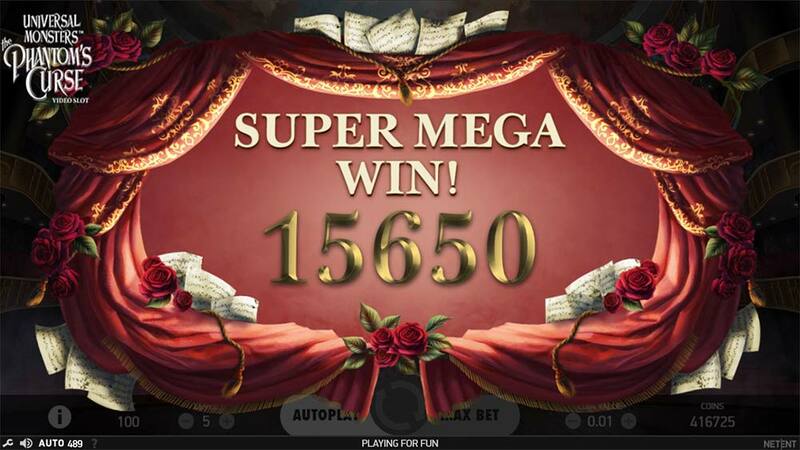 There is some decent win potential in the base game during the Phantom Re-Spin mode which is where our biggest win over 150x came from, but the picking round seemed very underwhelming with small coin prizes and low multipliers. The free spins round seems to promise a lot but in our playtests failed to deliver with most bonuses ending in the 15x up to 40x stake range. If we had to choose between this slot and the Phantom of the Opera from Microgaming for once I think we would side with Microgaming’s title which showcases much more exciting bonus features.